Over the past few months we have been very busy working in a vets in Ruthin. 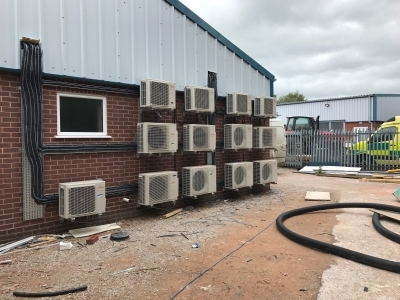 Providing Air Conditioning for the various animals that they will be looking after. We have fitted units that heat and cool for the dogs and cats areas, the assessment rooms and reception. Also we have fitted a fresh air system for the 'clean' and operating rooms.